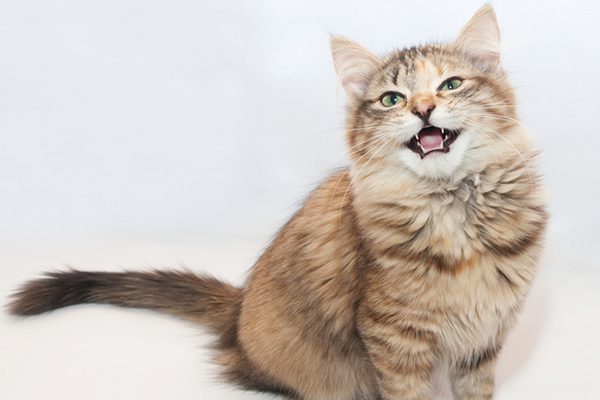 Next on The Scoop: Catster Quiz: Is Your Cat a Scaredy Cat? 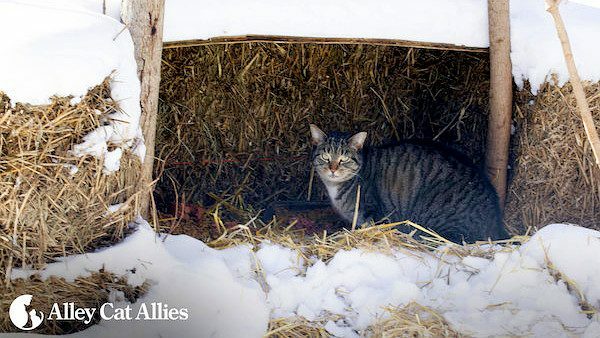 Rescue group Alley Cat Allies says outdoor cats are often healthier and happier than people think, but food and shelter help, especially in the winter. Every winter, I’m extra grateful to have my cats with me indoors. I love watching the three of them cuddle on the couch, knowing they are safe and warm even as the temperatures are dropping and the sky is spewing ice pellets outside. They’re my favorite bad-weather buddies, and they never judge me for taking two naps in one afternoon when the roads are too bad to leave the house. 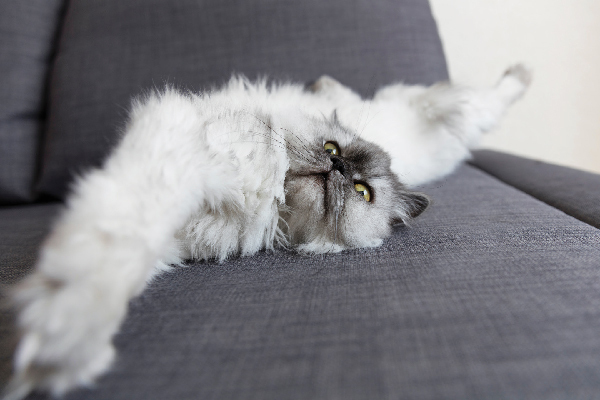 I know my cats are more resilient than I give them credit for – they are, after all, finely tuned killing machines covered in thick layers of warm fur. I also know not all cats are as lucky as Bubba Lee Kinsey, Phoenix and Salvador – I see that every day driving down the street in my neighborhood, where feral cats and kittens often lurk behind abandoned homes or bushes. But even the most resilient kitties can use a little help staying warm and healthy during the winter months. 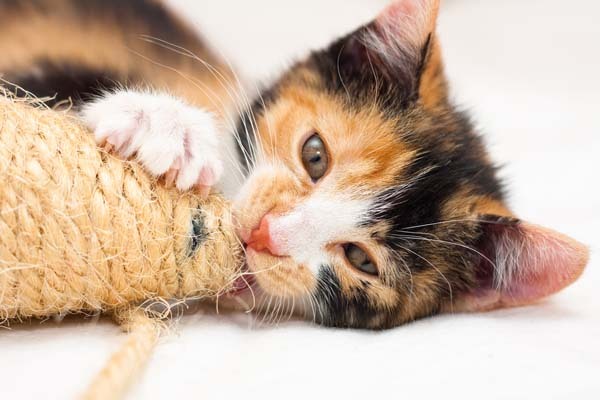 In Bethesda, Maryland, Alley Cat Allies is a nonprofit organization dedicated to the humane treatment of cats. 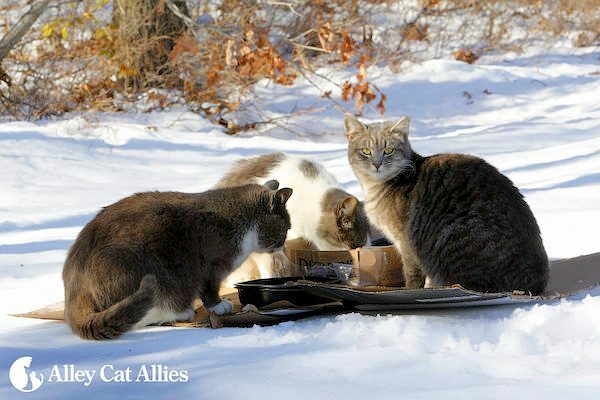 In addition to outreach and advocacy on behalf of stray and feral cats — community cats, as it were — the group, which was founded in 1990, focuses efforts on providing food and shelter for outdoor kitties during harsh winter weather. Insulate shelters with straw. Straw is cheap and plentiful, and it repels moisture. 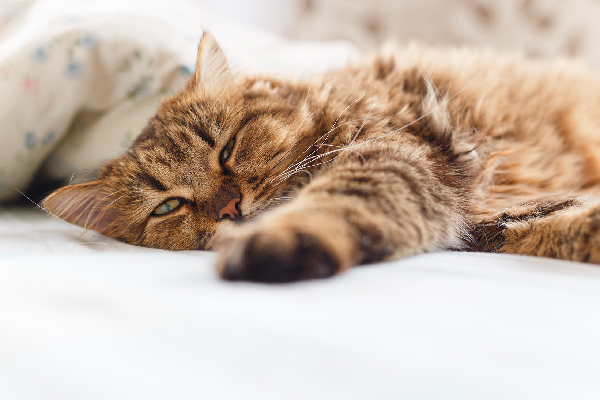 According to Alice Burton, associate director of animal shelter and animal control engagement, community cats are often healthier than people think – and oftentimes they’re doing well enough living outdoors. But she also points out that a little human intervention can go a long way. Keep water from freezing to prevent dehydration. To keep water drinkable, use bowls that are deep rather than wide and place them in a sunny spot. Or use heated electric bowls. Burton also points out the benefits of spaying and neutering. and an effective trap-neuter-return program. 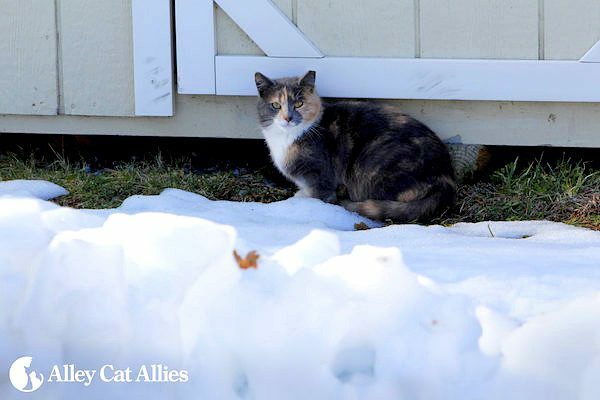 Before coming to Alley Cat Allies, she worked for animal control in Arlington County, Virginia, where she learned the benefits of TNR firsthand. 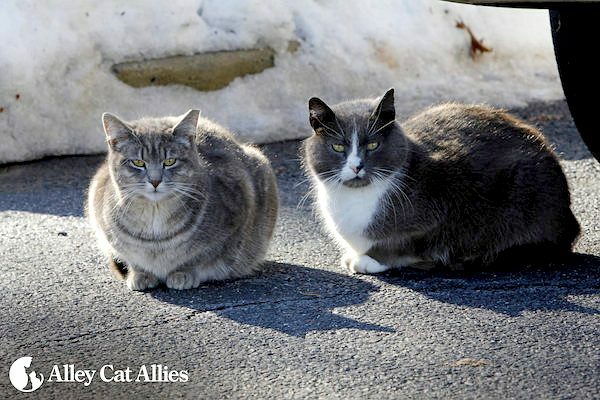 One of the biggest benefits turned out to be a drastic reduction in the number of nuisance calls the animal control office received regarding the community cats. Within five years, Burton says the office saw a decrease from more than 900 calls in 2009 to 40 in 2015. The remaining community cats are happier and healthier, too, having received veterinary care at the time of their spay or neuter surgery. TNR also leads to behavior modification among cats, resulting in fewer fights and a reduction in unwanted kittens. When cats are rereleased into their outdoor communities following TNR, Burton says, it’s important to remember they’re going to be just fine outdoors. 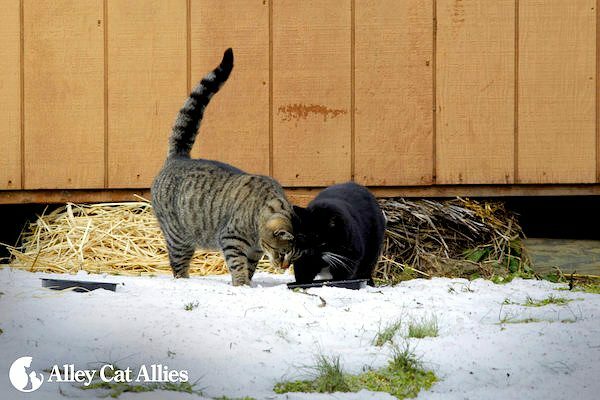 More winter weather tips for outdoor cats are available at Alley Cat Allies’ website.